Check out the radio show on The Trail 103.3FM and U 104.5FM. The live stream feed is online at http://www.trail1033.com where you can click on “Listen Live”. 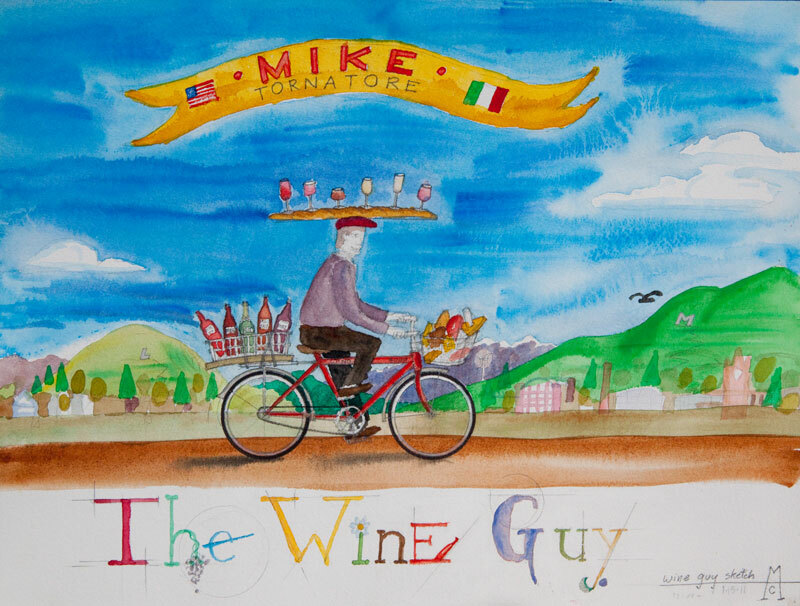 The WineGuyMike™ Radio Show© airs on both radio stations Sunday mornings at 10:00AM MST. Rex Pickett’s 2004 novel Sideways won the Academy Award for Best Adapted Screenplay, and was nominated in four other Academy Award categories. Set in the Santa Ynez Valley of Santa Barbara County the movie Sideways has two men in their forties on a week long road trip to the wine country, this is where things go “Sideways”. Jim Taylor and Alexander Payne whom adapted this screenplay of Pickett’s novel won multiple awards. In the movie Paul Giamatti portrays, Miles Raymond, who is an aspiring writer and teaches middle school English in San Diego. Miles a real wine-aficionado is going to take his college roommate and friend, Jack Cole, played by Thomas Haden Church, an actor who is soon to be married on a road trip to the Santa Ynez Valley wine country. Miles and Jack have very different ideas about the idea of what quality time on a road trip in the wine country together means. Actresses Virginia Madsen and Sandra Oh, portray local women who live and work in this beautiful wine country. They both become romantically involved with the men and this is where the story begins. John Colella has been acting in theatre, film, and television for the last 25 years. A native Chicagoan and a graduate of the Goodman School of Drama at DePaul University where he received his BFA, John recently took home an Indie Soap Award for Best Actor in a Comedy for his portrail of Donnie G. in his Web Series-Vampire Mob. Film credits include: Hotel Noir, Girl Walks Into A Bar, The Chicago 8, and The Swear Police (Best Short under 5 min, Los Angeles Comedy Shorts Film Festival). He has also been seen on Criminal Minds, Desperate Housewives, CSI:NY, American Dreams, Will & Grace, The West Wing, and NYPD Blue. Theatre credits include: Miles in Sideways, Cyrano in Cyrano de Bergerac, Italian American Reconciliation, Faithful, The Complete Works of William Shakespeare (abridged), and Lobby Hero. Julia McIlvaine has been working as an actress for over 15 years, in Los Angeles and New York City. “Sideways” is her 4th production at the Ruskin Group Theatre, alongside “All My Sons,” “Glengarry Glen Ross” and “Cyrano,” which starred “Sideways” own John Colella. In New York, she appeared in Marsha Norman’s “Pride’s Crossing,” and “Henry VIII” at the New York Shakespeare Festival. She has also worked in four network pilots for CBS, ABC, and Fox, and three TV movies for Hallmark Hall of Fame. 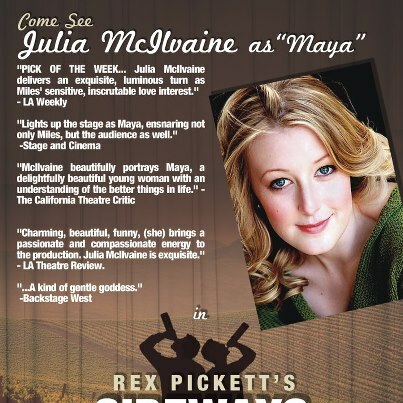 She is a graduate of the USC School of Theatre, and the Ruskin School. It is everyone’s desire to take the play on the road and it sounds like this may happen in the spring of 2013. It was great fun to have Colella and McIlvaine join me on the show, Sideways the movie is one of my personal favorite wine films for a number of reasons. Jack: If they want to drink Merlot, we’re drinking Merlot. Miles Raymond: No, if anyone orders Merlot, I’m leaving. I am NOT drinking any f**king Merlot! And the rest is history, literally. Sideways The Play has sold out every night and been extended twice under the direction of Amelia Mulkey. Each night an hour before the play high end Pinot Noir’s from the Santa Barbara wine country and Central Coast wine region are enjoyed by the attendees. John Colella and Julia McIlvaine are dynamic personalities who enjoy very successful careers as actor and actress. 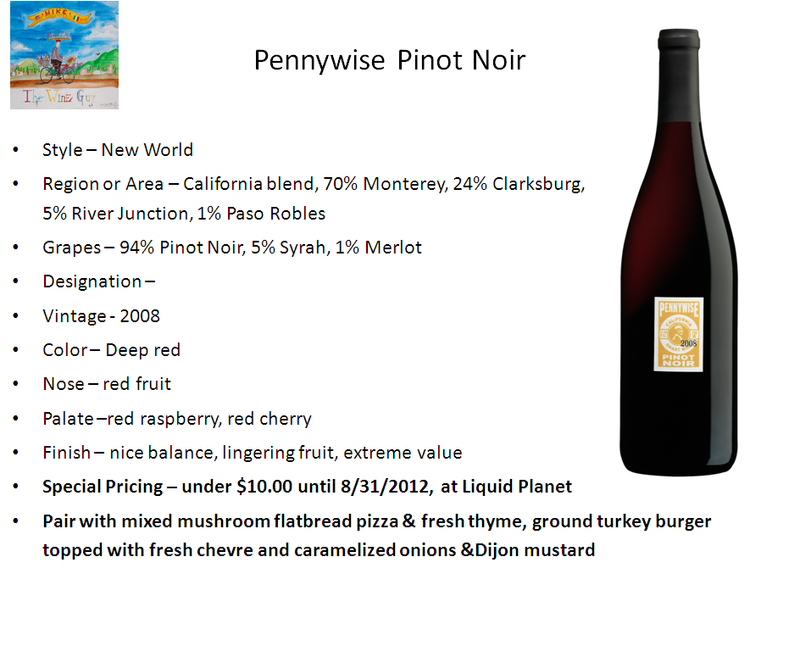 Rex Pickett now markets his own brand of Merlot and hopes to position Sideways as global brand. 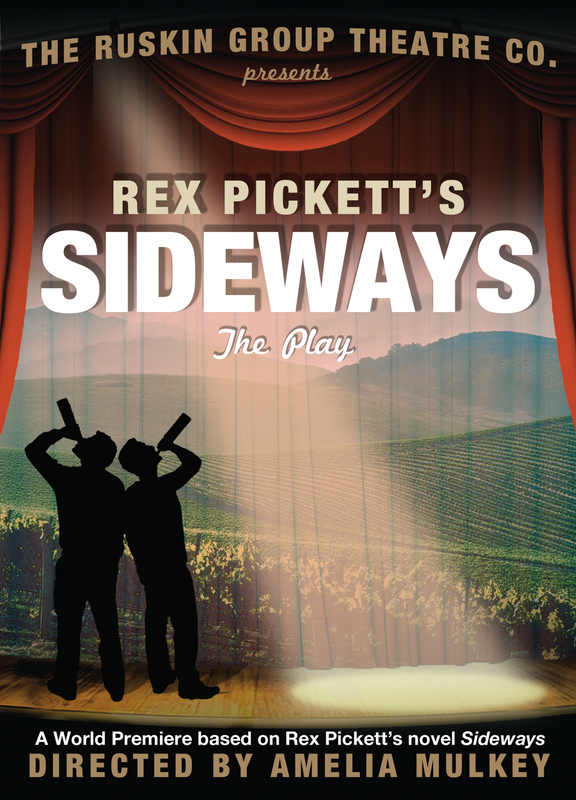 Pickett, Mulkey, and the outstanding cast of Sideways The Play will be taking this production on the road and I hope that it comes to a city near you. Julia and John I want to thank you both for taking time from your busy schedules to be featured guest on this week’s WineGuyMike Radio Show, it was great fun and I hope you will both join me again. 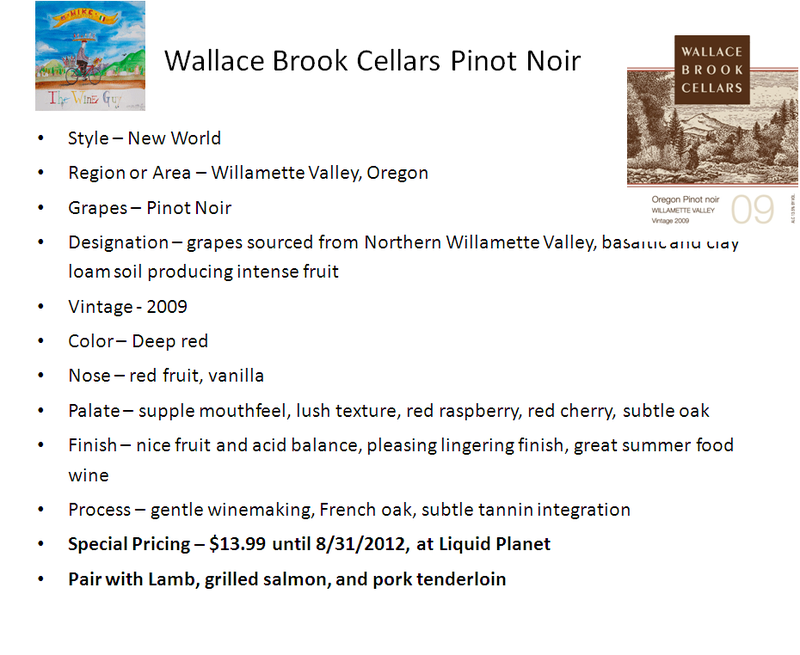 I have two inexpensive Pinot Noir wines that I’m recommending for you this week. Both are available especially priced at Liquid Planet, Missoula’s “Best of Beverage”, located in the Heart of Downtown Missoula. This entry was posted in Cheese, Wine, Wine "Crush" Course, Wine and Recipe, WineGuyMike blog posts and tagged ABC, Academy Award, Alexander Payne, All My Sons, Amelia Mulkey, American Dreams, AVA, Best Screenplay Adaption, blog, California, California White Wine, California Wine, California Wines, CBS, Chardonnay, Cheese, Cheese courses, CSI:NY, Cyrano, Cyrano de Bergerac, Faithful, Food, Food and Wine, Fox, French style wine, Fresh 104.5, Fruit, Glengarry Glen Ross, Hitching Post, Hitching Post Restaurant, Italian American Reconciliation, Jack Cole, Jim Taylor, John Colella, Julia McIlvaine, Kevin Sass, Liquid Planet, Merlot, Miles Raymond, New World Wines, NYPD Blue, occasion, occasions, Paso Robles, Paul Giamatti, Pinot Noir, podcast, Radio, Recipe, Red Blend, Red wine, Red wine blend, Rex Pickett, Sandra Oh, Santa Barbara, Santa Barbara County, Santa Barbara County wine country, Santa Ynez Valley, Santa Ynez Valley wine country, Sideways, Sideways the movie, Sideways The Play, special, Special occasions, Terroir, The Complete Works of William Shakespeare, the Trail 1033, The West Wing, Thomas Haden Church, Trail 1033, U 104.5, U 104.5 FM, Virginia Madsen, Will & Grace, Wine, Wine and Cheese, Wine and Cheese pairing, Wine and Cheese pairings, Wine and Food, Wine and Food pairing, Wine and food Pairings, WineGuyMike, WineGuyMike radio show, Winemaker, wineries by WineGuyMike. Bookmark the permalink.